Filters are an essential component in keeping your pool clean and healthy. By removing impurities such as dirt, leaves, grass, hair, body oils, sunscreen, and even many bacteria from the water, the Pentair high efficiency filters keep your pool water clean, clear and inviting. 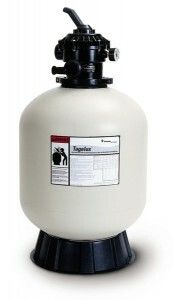 The Tagelus Fiberglass Sand Filter is the original and still the industry standard in sand filters. Pentairs unique process creates a one-piece, fiberglass’reinforced tank with UV resistant surface finish for years of unequaled strength and durability. This unique method locks in fiberglass, preventing fibers from “blooming” under harsh conditions.